The market is not comfortable. The market seems to have gotten out of mind. This situation is likely to continue until next week. Gold: Gold prices plummeted as expected. XAUUSD will fall to at least $ 1270. The gold prices are likely to wave up and down very sharply soon. $1300 has become a new strong resistance line. If gold rises above $1,300, it will be good opportunities to sell. Silver prices fell as expected. 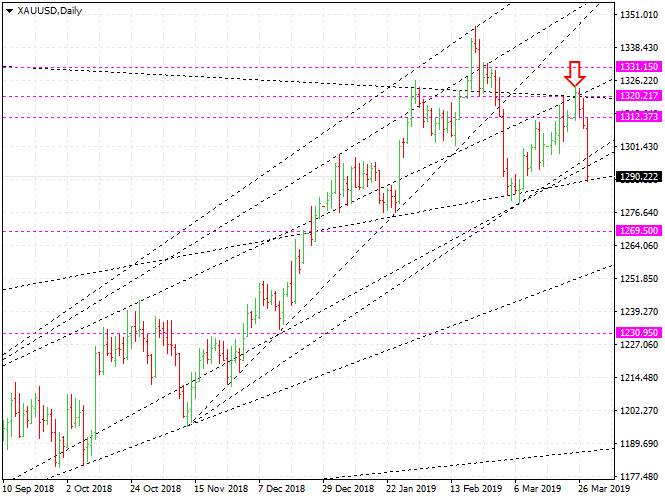 XAGUSD reached a very weak support line. They will drop to $ 14.68. $ 15.37 has become a new strong resistance line. If they go up to that level, it will be a good opportunity to sell. I will hold the sell - position. WTI: The situation in the crude oil market has not changed. The market is very unstable. If crude oil prices fall, it will be an opportunity to buy. Brent oil will rise to $ 75.3. The WTI will rise to at least $ 63. We need to think about why oil prices are going up. Euro: Unlike many experts and investors expect, the dollar is not weak. The dollar is relatively strong against other currencies. There is nothing strange. It is because other currencies can not say NO! against the dollar. It reached a weak support line today. If it goes up to 1.13 it will become a good opportunity to sell. EURUSD will continue to decline further. In the medium term, it is likely to drop to 1.085. SP500: The stock indexes will not be attractive for a while. They will not give any gogd gifts to traders.